Home and office LED bulbs are a type of lighting with which we meet every day both at home and at work. 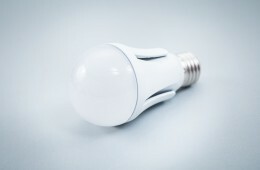 Currently used light bulbs are gradually being replaced by more efficient and green solutions of better quality, among which LED lighting excels. We offer a very wide range of different types of LED bulbs for home and office, which successfully replace the currently used light sources. When it comes to office lighting – LED technology is distinguished by the color of light at a level of 4000-4500K it is a white light, ideal for work, as we feel very well in it. Most common light sources are those that are applied in our homes or workplaces. We invite you to familiarize yourself with our offer of home and office light bulbs, which will replace all the old, non-ecologic bulbs and reduce electricity bills. 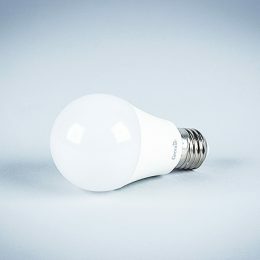 We offer many series of light bulbs that will change quite a few houses and offices. Each series has its own unique character and use, and their warranty period is 2 years. See how many traditional halogen bulbs that you currently use in the kitchen, bathroom, hallway or office. On each of them you can save about 4zł per month. It really pays off. 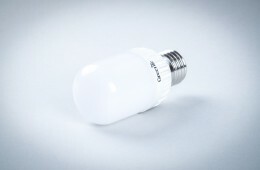 Corn Like series is highly efficient replacement for traditional ambient bulbs. 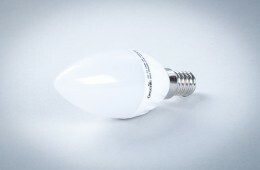 Thanks to its size, the bulb can be installed in small sconces and casings. Bulbs have from 8 to 48 super-efficient SMD2835 EPISTAR diodes – it provides a uniform distribution of light in all directions. 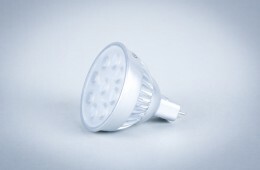 Power of 7W can replace traditional light bulb of 60W, so we can save more than 80 PLN per year. Bulbs are available in the warm and natural colors. These are the most popular LED bulbs for home and office. Sunline series is a modern replacement for halogen lamps used, with a high performance and focused light beam. 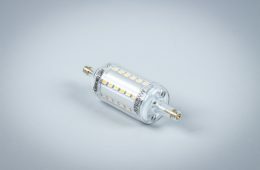 Bulb are implemented with COB diodes, which eliminate the impression of multi-point light emission. Sunline Series is made of cold cast aluminum, in order to provide maximum heat resistance. Investment pays off already after 4 months of use. Beam angle of light bulbs is 60º and there are warm and natural colors available. 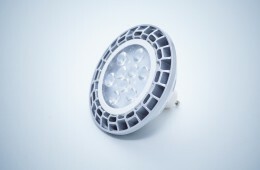 These are LED bulbs, that are very often selected for home and office. 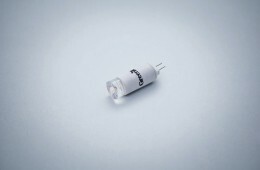 Spotlight series uses the latest technologies in the form of efficient 5050SMD or PowerLED diodes. 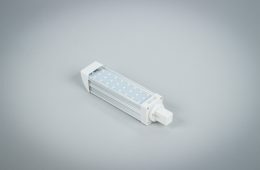 Bulbs of this series are characterized by a relatively strong focusing of a light beam – 60º. We can even mount lenses focusing the beam at 15º or 30º on the special client’s request. 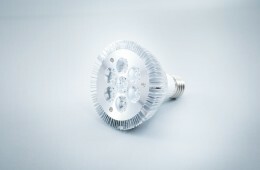 Our bulb of Spotlight series with a power of 7W can easily replace incandescent directional bulbs with a power of 100W. This is a huge money saving, reaching the level of PLN 80 per year. This product is ideal to use in high locations, shop windows, offices or other places that we want to highlight. Sferio series is a novelty in our offer. Latest LED technology has been locked in a classic onion shape. The bulb has a modern radiator, perfectly draining heat. 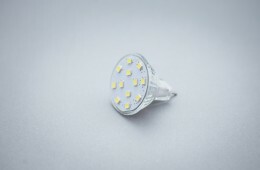 LED bulbs have 2835SMD or 5730SMD diodes depending on the model. All models have a high color rendering index (CRI) higher than 80. We also sell special models with motion or dusk sensor. 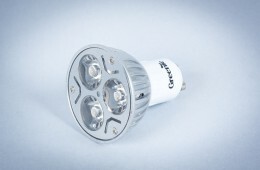 All bulbs in this series have E27 socket. Office series is a LED bulb that can be used in offices or shops, which require a high level of illuminance on the working surface. The angle of light bulbs is 120 °, which results in pleasing illumination of office or shop. 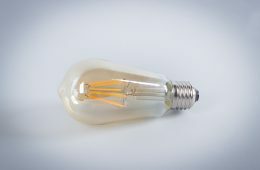 The bulb of 9W is the ideal replacement for older office bulbs 70W. The investment pays off already after 5 months.